Angus (looking at watch): Suki, what time did your security-guard friend say people will start showing up for work? Suki Oota (off camera): Some of them get here as early as five-thirty, so we pretty much have one shot. Angus (staring into camera with a fixed smile): Is it on? Angus (sitting up straighter): Are you looking for vacation destinations with paranormal interest? Tripping Magazine features the most haunted bed and breakfasts, best UFO sites and, on the lighter side, fun family events like the Mike the Headless Chicken Festival. Michael: Tripping also covers breaking stories, whether it’s Bigfoot in Bulgaria or Alien Big Cats in your own back yard. Suki (leaning forward): Tripping Magazine -- for vacations that will blow your frickin’ mind. Angus: That went fairly well. Michael, I would have liked to hear a little more enthusiasm from you. Michael: Too much enthusiasm makes our conspiracy-theorist readers nervous. Now let’s straighten these chairs and go. The last place I want to get caught trespassing is a law firm. 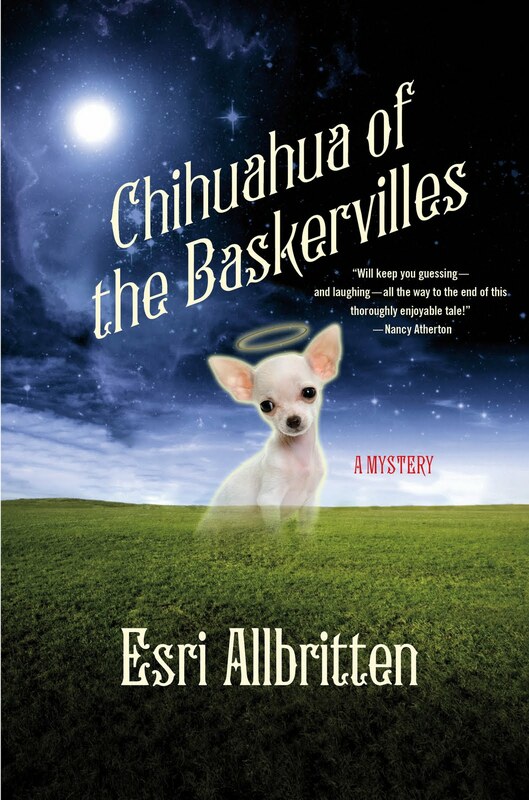 Esri Allbritten’s first mystery, Chihuahua of the Baskervilles, comes out in hardback and ebook formats on July 5, from St. Martin’s Press/Minotaur Books. In Chihuahua of the Baskervilles, the staff of Tripping Magazine hears about a ghostly Chihuahua seen by Charlotte Baskerville. Charlotte is the rich founder of Petey’s Closet, a clothing catalog for small dogs. Angus, Suki and Michael travel to Manitou Springs, where the ghost howls advice and spells out threats in tiny paw prints. But is the glowing apparition really Petey’s ghost, or is someone in Charlotte’s household trying to teach a dead dog new tricks – like murder? It’s up to Tripping Magazine to save Charlotte Baskerville, preferably without losing their story. Visit EsriAllbritten.com to read an excerpt and find out more. I look forward to seeing what this mystery brings. Congratulations on its release today! This sounds hilarious. Thanks for visiting, whoever you are whose name can't be mentioned. Ha! 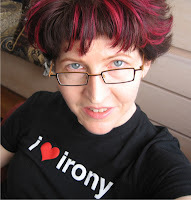 I just noticed that, Janet. Maybe it'll pique readers' interest. Makes me think of Voldemort, whom I always refer to as, "He who must remain noseless."